Get all the latest album release news, featuring some of Smooth's favourite music artists and groups. 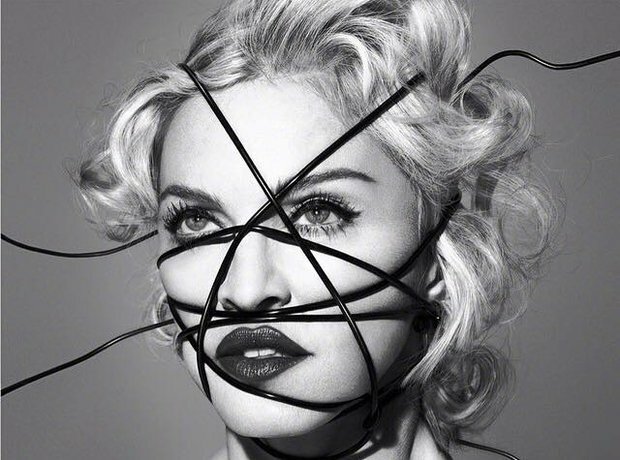 Madonna's Rebel Heart is due out on March 09. Unfortunately, a few of the songs have already been leaked online. We can't wait for the real release - she's still the Queen of Pop to us! Shadows In The Night will be Dylan’s 36th studio album and marks the first new music from the artist since 2012’s worldwide hit ‘Tempest’. Released via Columbia Records, the album will feature ten tracks and has been produced by Jack Frost. Late in December 2014, Beatles’ Ringo Starr revealed that a new album was ready to be unnveiled in 2015. As yet unnamed, the album will be Starr’s first since 2012 and will be his 18th studio record. Released in November 2014, this is Midler’s first studio album for eight years. It’s The Girls is Midler’s interpretations of timeless classic ‘60s girl group songs such as ‘Be My Baby’ by The Ronettes, and‘You Can’t Hurry Love’ by The Supremes. In 2014, Donny Osmond made music history - he celebrates 50 years in show business. ‘The Soundtrack Of My Life’ is his 60th album. ‘The Greatest Hits’ album includes 16 tracks spanning Vandross’ three decade career including hits ‘Never Too Much’, ‘Dance With My Father’, ‘Hear and Now’, ‘Any Love’, as well as his famous collaborations with Beyoncé on ‘The Closer I Get To You’ and Mariah Carey on ‘Endless Love’. Brian Wilson, Billy Joel, Smokey Robinson and more sing their favourite Paul McCartney songs for the compilation album. Spandau Ballet are back! This greatest hits album by the British new wave band features their new single 'To Cut a Long Story Short'. The album travels through the band's career and also features the brand new single 'This Is the Love'. The album debuted at number eight in the UK Albums Chart. Speaking about this new release, which features unheard tracks sung by late frontman Freddie Mercury, Brian May has said "It is quite emotional. It is the big, big ballads and the big, big epic sound."